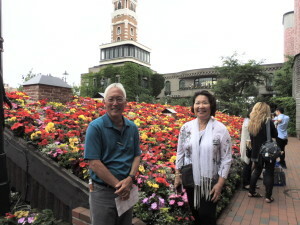 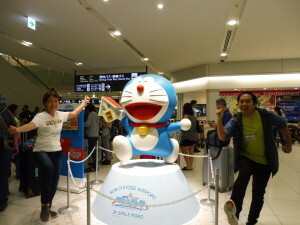 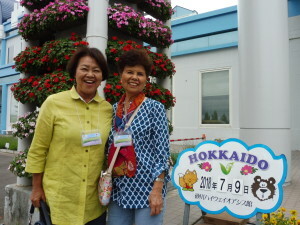 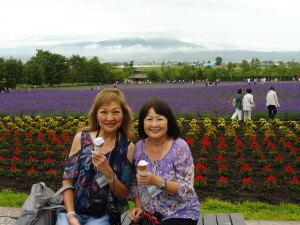 Expecting to see beautiful lavender fields, we left Honolulu for Chitose, Hokkaido by Hawaiian Airlines on July 7. 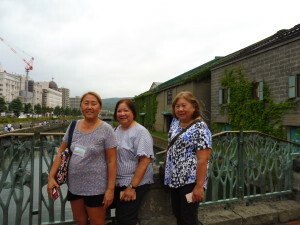 Hokkaido has been experiencing unusual heavy rains for the last several days so we were hoping for better weather while we were traveling to Asahikawa, Furano, Noboribetsu, Otaru and Sapporo. 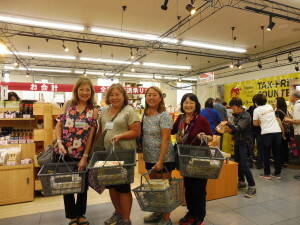 After going through immigration/customs and checking into an airport hotel, many of us went out searching for food and shopping. 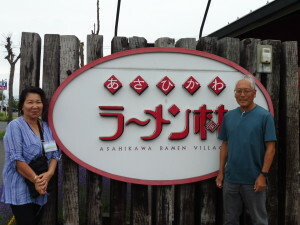 Today’s itinerary was to visit the Otokoyama Sake Brewery in Asahikawa, Kamikawa Ice Pavilion, Ginga & Ryusei water falls before checking into a hotel in Sounkyo, a hot spring resort town situated in Daisetsuzan National Park. 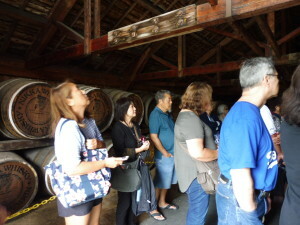 The weather was overcast and it had started sprinkling a bit at our last visiting site, but it did not hinder our tour a bit. 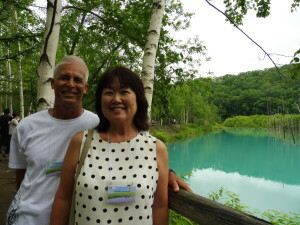 Lucky us! 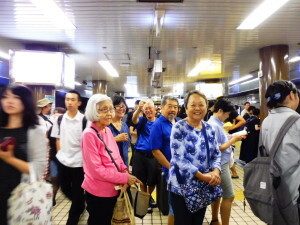 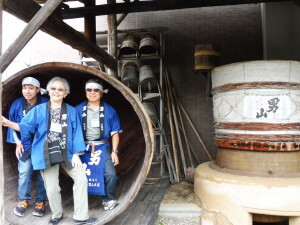 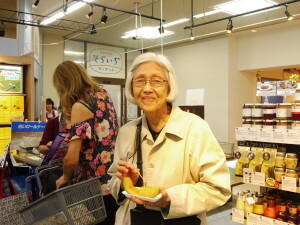 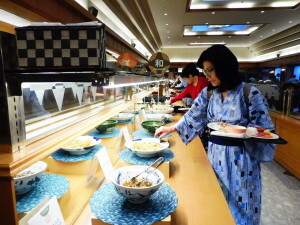 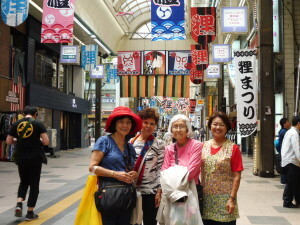 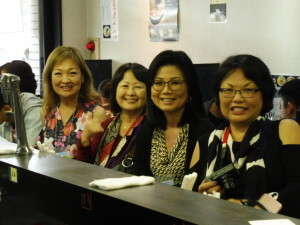 After eating ramen for lunch, and tasting various free sake, some people went to a dreamland. 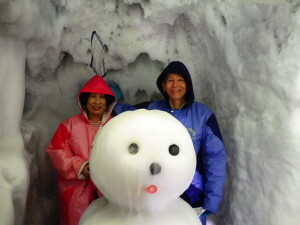 Experiencing -41C degree coldness at the ice pavilion, we were all awake afterwards. 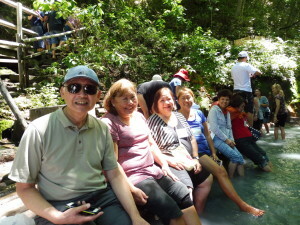 Hope everyone had a relaxing good night sleep after soaking in a hot mineral bath! 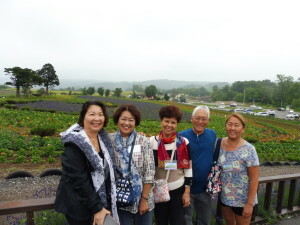 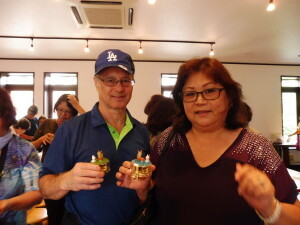 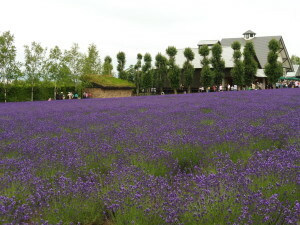 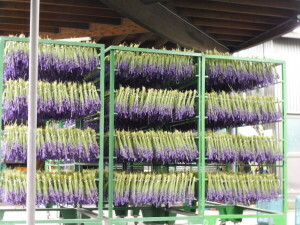 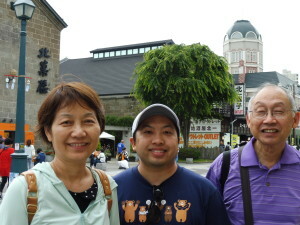 We visited Biei Hills, famous for beautiful flower fields with variety of flowers, then visited Sumio Goto Museum of Art, Blue Pond/Blue River, and Tomita Lavender Farm, one of the 12 dreamiest lavender farms in the world according to the Reader’s Digest. 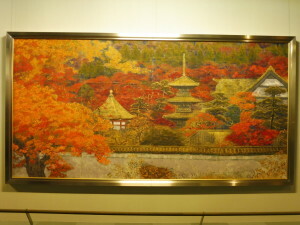 The paintings at Goto museum were awesome! 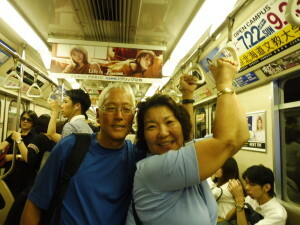 A post card size painting done by Mr. Goto costs about $10,000. 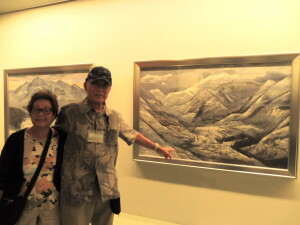 Who will be able to afford to buy his paintings, I wonder?? 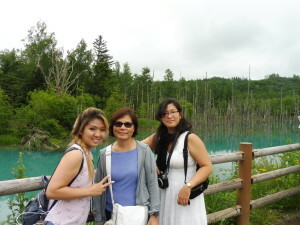 The Blue Pond indeed had aquamarine colored water and was very unique but it was unfortunate that the supposedly blue river turned out to be brown river due to heavy rain last week. 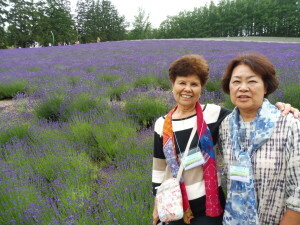 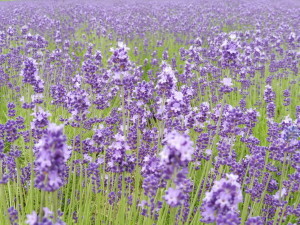 The traditional type lavenders were in almost full bloom so we were very lucky to see the sea of purple color. 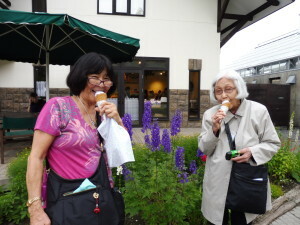 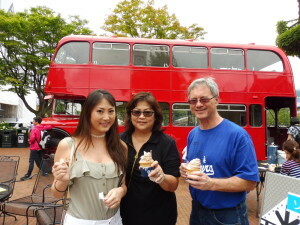 Many of us could not resist eating lavender ice cream! 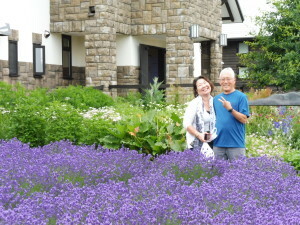 We beat the weather again! 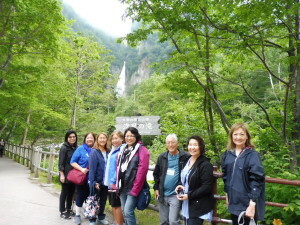 The rain started falling after all of our sightseeings were done. 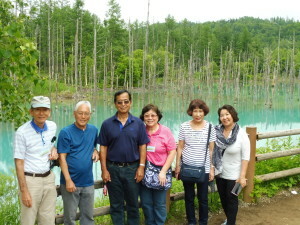 How lucky we were! 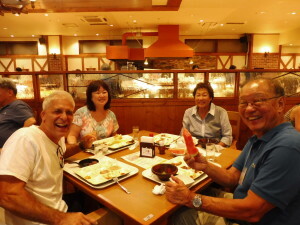 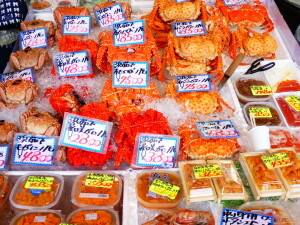 The buffet dinner we had at the hotel was fantastic, all you can eat 2 kinds of crabs and Tokachi melon deal! 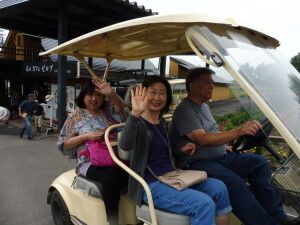 Tokachi melon was so… delicious! 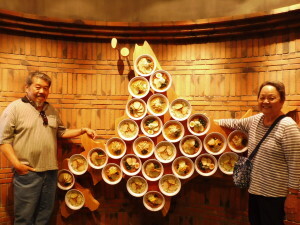 Over all, the taste of food was also very good. 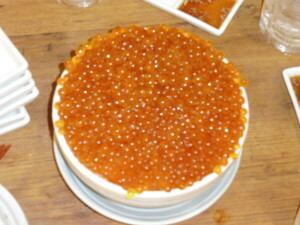 Yummy, yummy! 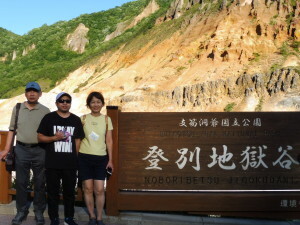 When we left Sahoro, the weather was drizzling but by the time we got to Noboribetsu, it turned out to be a beautiful sunny day! 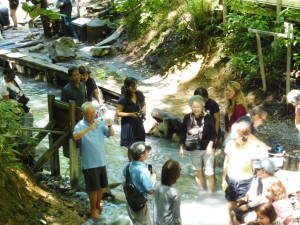 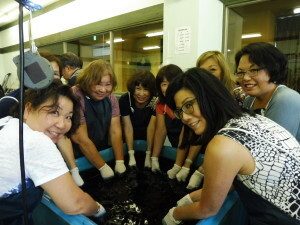 Oyunuma, hot spring creeks for foot bath, and Date Reimeikan for hands on experience in making Indigo dye handkerchief were really fun! 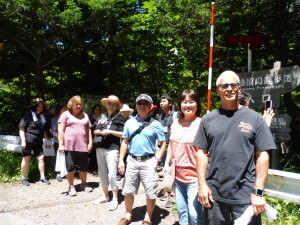 Some people saw a long brown snake on the way to Geiger at Hell Valley. 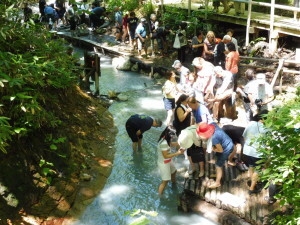 Can you imagine to see a snake where so many tourists visit everyday? 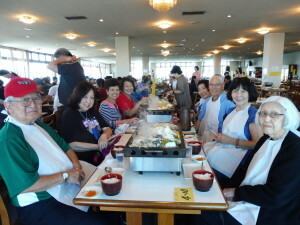 We had a sumptuous grilled salmon lunch. 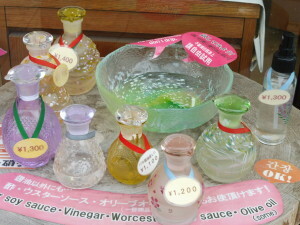 It was onolicious!! 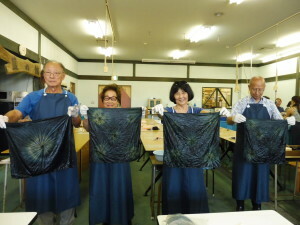 Making Aizome dye handkerchief was great fun! 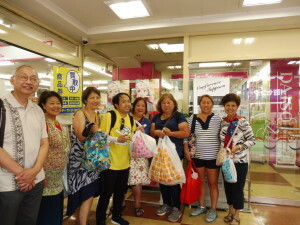 Everyone did a great job of making a handkerchief. 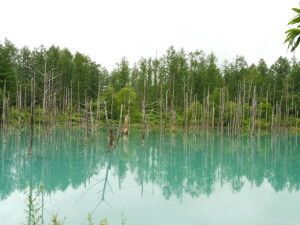 Hell valley, who named this place as valley of hell?? 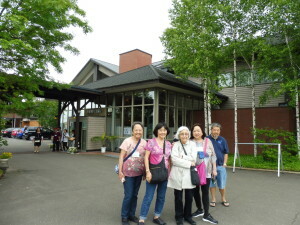 The hotel we stayed in Noboribetsu had the biggest and a variety of onsen pools compared to the other hotels we stayed. 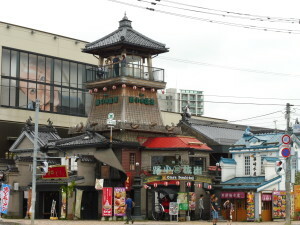 The ambience of the onsen was really wonderful. 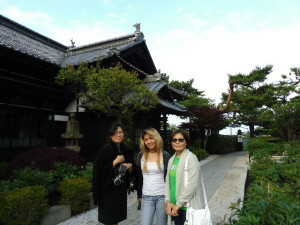 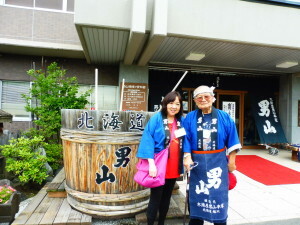 This was onsen lovers paradise! 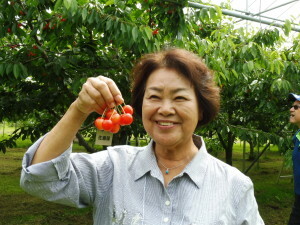 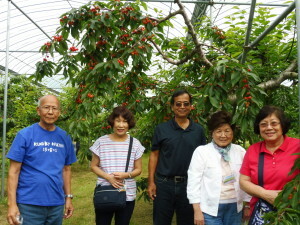 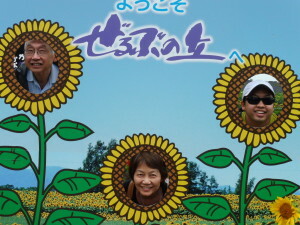 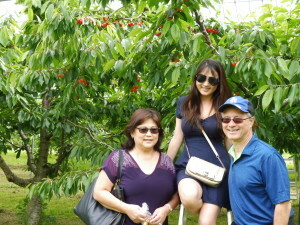 We went for cherry picking in Soubetsu which was about 30 minutes drive from the hotel in Noboribetsu. 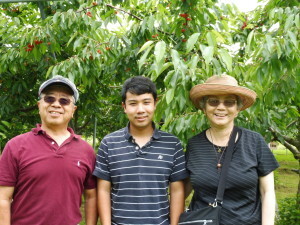 The cherries were sweet but slightly sour and tasted very good. 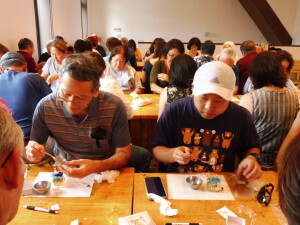 After eating lunch and spending time for more shopping in a popular tourist street in Otaru, our group enjoyed making a music box. 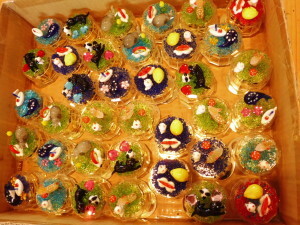 Job well done! 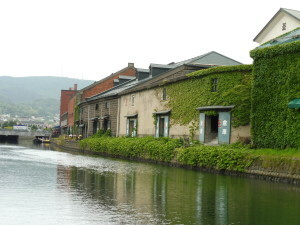 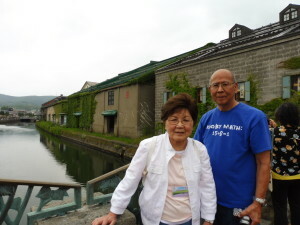 Fortunately, the Otaru canal wasn’t too crowded. 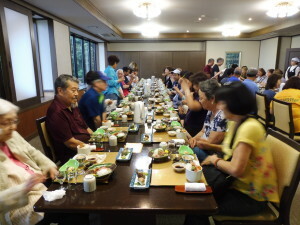 We had Kaiseki dinner at Otaru Kihinkan, old Aoyama Villa, after viewing the villa of Mr. Aoyama who made money from herring fishing. 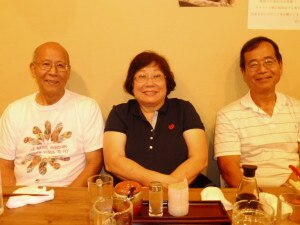 Too much food…. 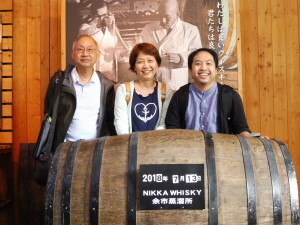 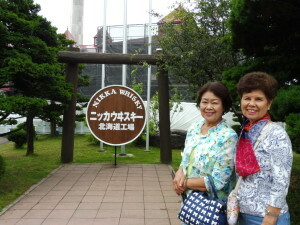 Nikka Whisky Factory was a great place to visit for whiskey lovers. 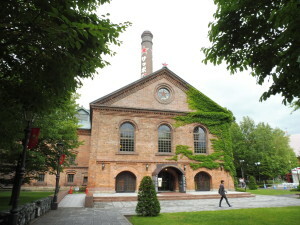 Shiroi Koibito Chocolate Factory was everyone’s favorite. 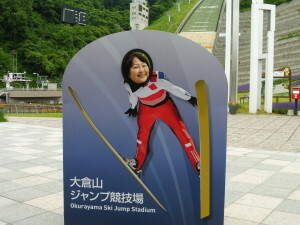 Okurayama ski jumping hill which was the previous Sapporo Winter Olympic site was a quite interesting site. 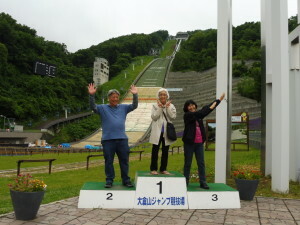 It was amazing how high the jumping platform was! 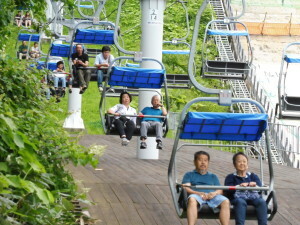 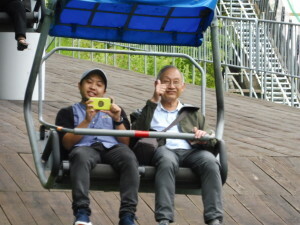 We used a chairlift to go up the hill to see the view of Sapporo city. 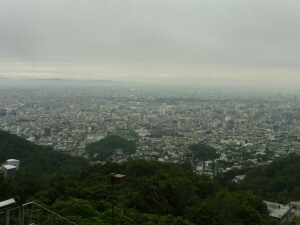 Although it was overcast, we could still see the Sapporo city and the surrounding mountains. 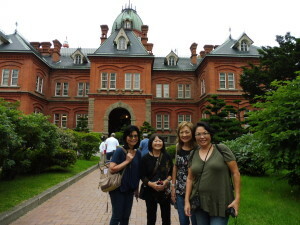 Before going to our hotel, we stopped by the former Hokkaido government office building. 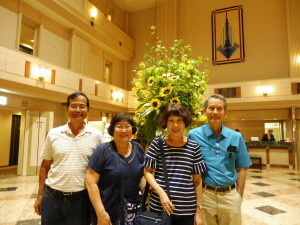 The Hotel we stayed at was situated close to Susukino subway station and it was very convenient for eating at the restaurant and shopping. 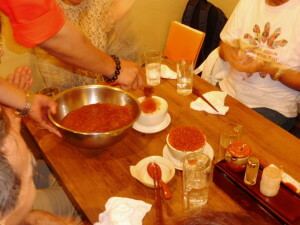 As an optional dinner, 31 of us went to eat famous Ikuradon. 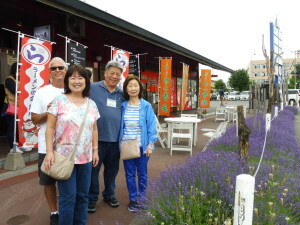 Food was delicious but it was too much to eat. 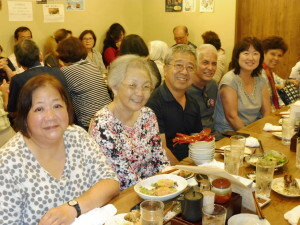 None of us could eat the entire dish, what a waste…! 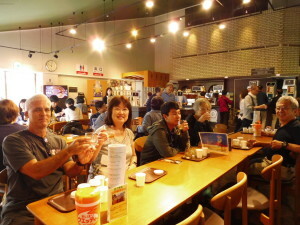 Free day!! 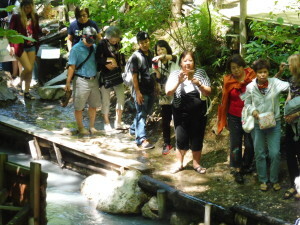 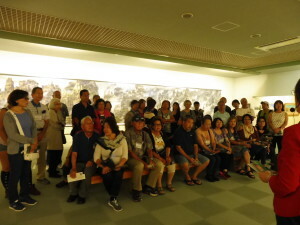 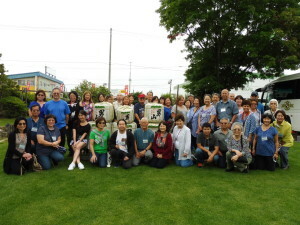 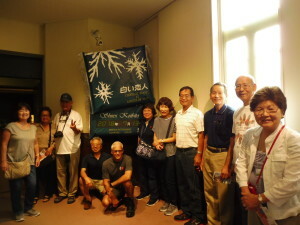 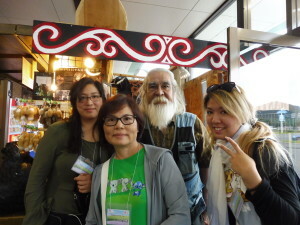 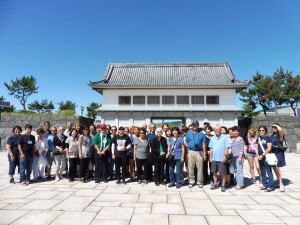 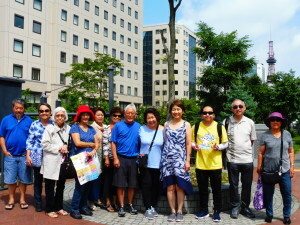 A total of 13 people joined the walking tour of Sapporo city. 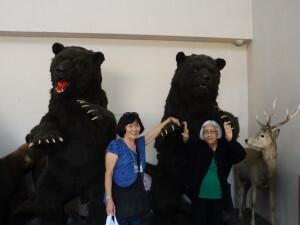 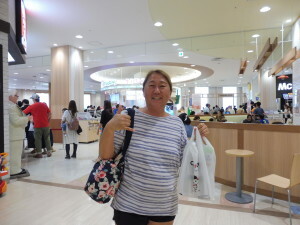 We visited Nijo Fish Market, Daiso (100 yen store), Don Quijote, Tokyu Hands, Daimaru Department store, shopping area near the JR Sapporo train station, and returned to Susukino where our hotel was by subway. 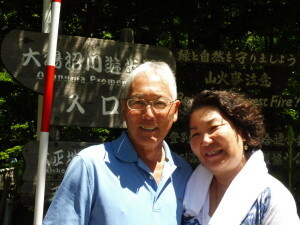 Oh boy, we walked a lot!! 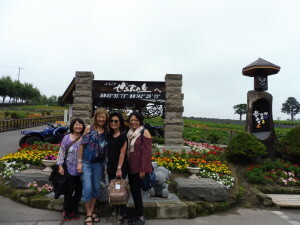 Last day of our tour. 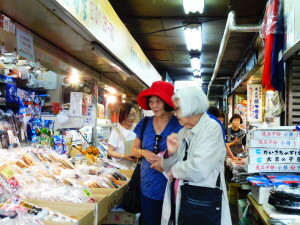 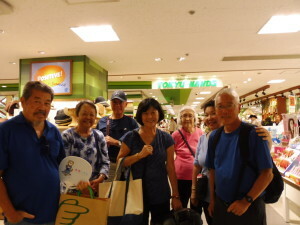 We had several hours before we left for the airport, many went shopping again. 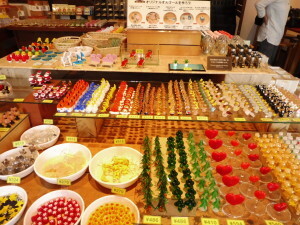 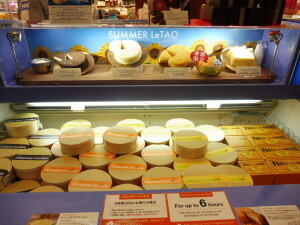 The last stop was Ario Mall, the very last chance to buy souvenirs. 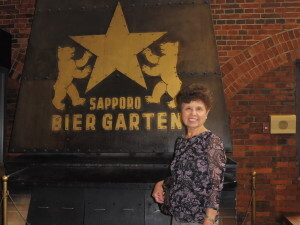 Whoever felt shopped out went to the Sapporo Beer Garden to taste the beers only sold there. 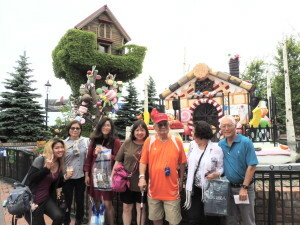 Only one family was interested in doing so but the rest all went for shopping mall for more shopping! 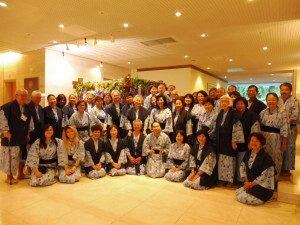 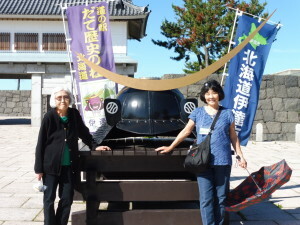 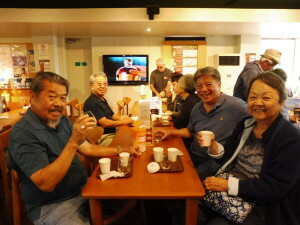 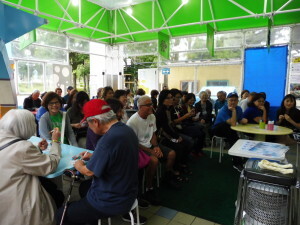 Although we had a very big group, people were punctual, very friendly, and it seemed everybody got to know each other. 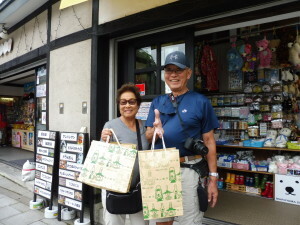 We all came home safely and happy with lots of souvenirs! 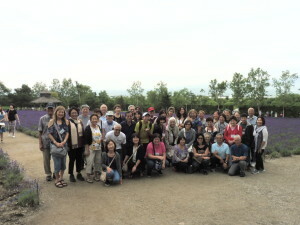 Hope every one enjoyed the tour and had memorable experiences! 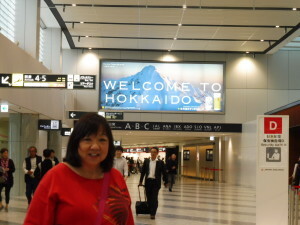 Hope to see you again! 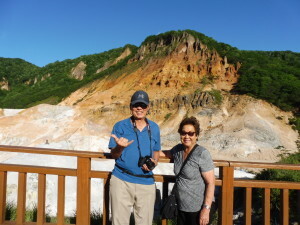 Mahalo Nui Loa.